I am pleased to inform you that the IAPA and ASPA together have organised the Pediatric Perioperative Life Support (PPLS) Workshop and Training the Trainer (TTT) Programme in Bangalore on January 5th and 6th 2019. 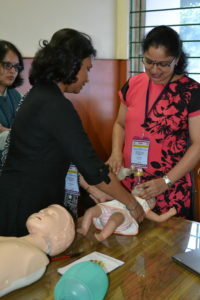 This was conducted at the Indira Gandhi Institute of Child Health, Bangalore under the able leadership of Dr Chandrika along with her enthusiastic team. The ASPA Faculty included Drs Agnes Ng, Dr Josephine Tan and Dr Shu Ying from KK Hospital Singapore, Dr Lucy Chan and Dr Sushila Sivasubramanyam from the University of Malaysia, Kuala Lumpur, Malaysia, Dr Vrushali Ponde, Dr Rebecca Jacob and Dr Elsa Varghese. To familiarize practicing anesthesiologists from various institutions with PPLS protocols and inspire them to pass on safe practices to fellow anesthesiologists. To train fifteen core IAPA trainers (IAPA members from across the country to conduct PPLS courses across India). The following doctors participated in the TTT course as well: 1. Dr Ruchi Gupta, Amritsar 2. Dr Sandhya Yaddanapudi, Chandigarh 3. Dr Anisha De, Kolkata, 4. Dr Sapna Bhatla, New Delhi, 5. Dr Nandini Dave, Mumbai, 6. Dr Anita Nehete, Nasik, 7. Dr Falguni, Vadodara. 8. Dr A Muralidhar, Hyderabad, 9. Dr Vibha Naik, Hyderabad, 10. Dr Jayanthi, Chennai, 11. Dr Ekta Rai, Vellore, 12. Dr Lakshmi Kumar, Kochi, 13. Dr Sumalatha Marla, Mangalore, 14. Dr Chandrika YR, Bangalore, 15. Dr Madhavi, Bangalore. The PPLS programme on Feb 5th 2019 was an intensive one-day programme. Thirty anesthesiologists participated. Short lectures included the following topics: common causes of perioperative cardiac arrests, recognition of the critically ill child, update on pediatric resuscitation, effective team work during crisis, recognition and management of arrhythmias, difficult IV access during resuscitation and breaking bad news. These talks were interspersed between small group interactive case discussions. The cases discussed included the following: recognition of the airway at risk, fluid resuscitation in the hypovolemic child, desaturation in recovery, tight bag, unexpected cardiac arrest in an infant after a caudal and sudden fall in EtCO2 in the infant during surgery. Post lunch, the participants rotated through four Skills Stations which included: recognition and management of arrhythmias, effective CPR skills and team work, IV access station and teamwork in crises (video review). All participants were very enthusiastic and actively contributed in the group discussions and skill stations. 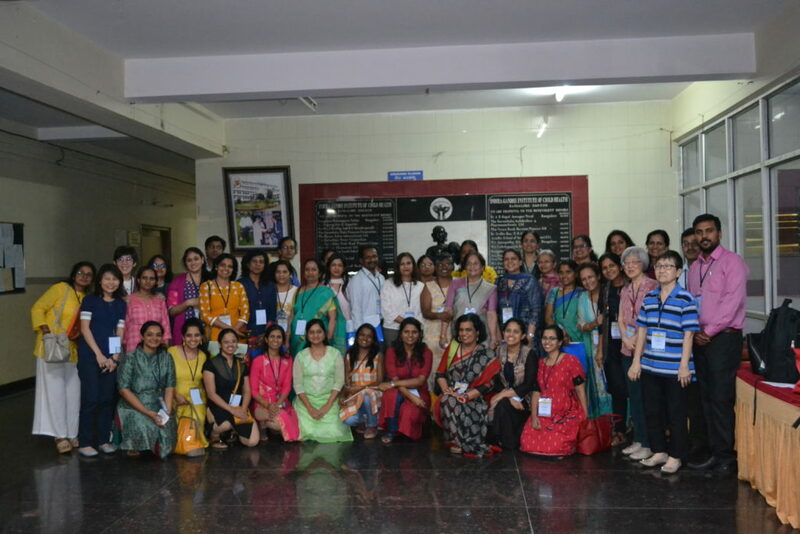 The TTT (half day) programme was conducted on Jan 6th 2019 with fifteen participants (all had participated the previous day) and three faculty (Dr Agnes Ng, Dr Rebecca Jacob and Dr Elsa Varghese). A review of the prior PPLS workshop in terms of the objectives, format, MCQs, quality and consistency of sessions was open for discussion and improvement. Dr Agnes delivered a brief overview on how to teach small groups, following which the participants were divided in to three groups, were provided a case, and each group had a practice run of case- based discussions followed by comments and feedback. Dr Rebecca then discussed how to facilitate Skill Station teaching. Following this, practice runs of skill stations for effective CPR, management of arrhythmias and breaking bad news. I must congratulate the participants on their wholehearted involvement and excellent role playing in the various scenarios. We look forward to taking the PPLS programme forward in a big way across India.